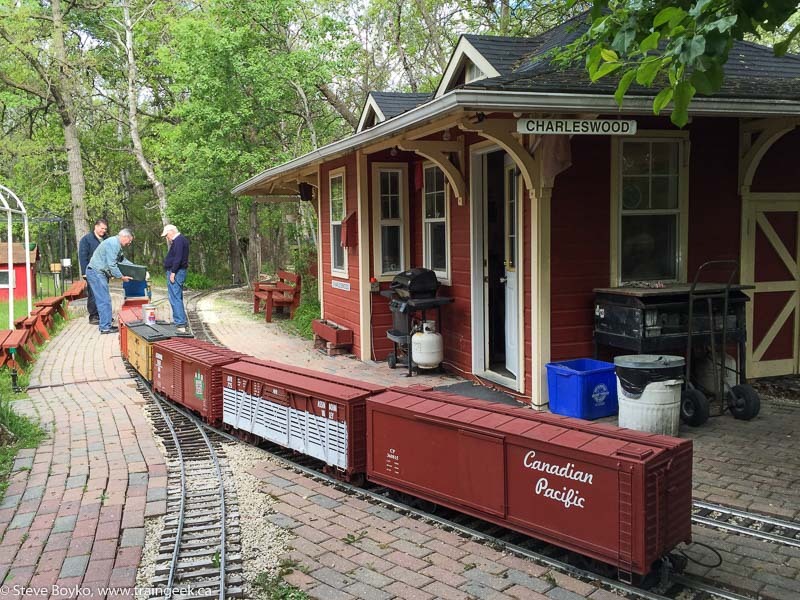 Two miniature railways - one weekend! The Manitoba Live Steamers are holding their annual open house and the Assiniboine Valley Railway is holding another public run. 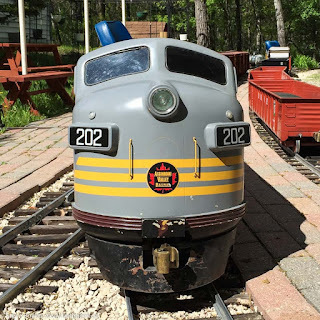 They will have live steam trains running on their extensive track system, model engines on display, and a canteen will be open for lunch, drinks and snacks. 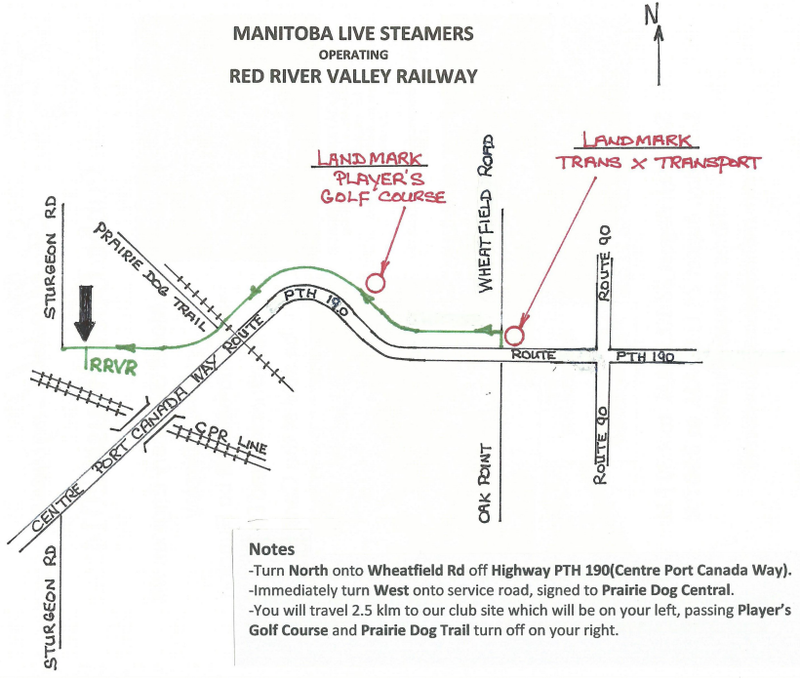 They are a little tricky to get to - they are off highway 190 / Centre Port Canada Way - but here's a map provided by the Manitoba Live Steamers. If you have a GPS you can enter 49.945960, -97.271530 to get there. I stumbled across one of their open houses a few years ago and took the above photo. There's a caboose on the property as well, an ex CPR one if I am not mistaken. 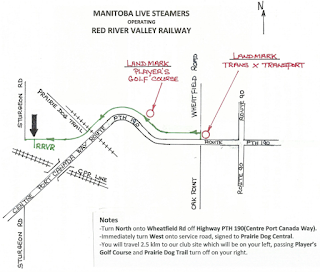 Winnipeg's Assiniboine Valley Railway is holding another public session soon. 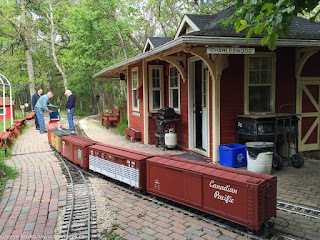 For a toonie ($2) you can ride on their miniature railway through the woods! Kids under 2 are free but must be accompanied by an adult. I've done the ride a few times and I can say it is a lot of fun to take the train through the tunnels and trees, and often you will see deer in the distance too. They'll be running from 11 AM - 5 PM on Saturday August 28 and 1 PM - 5 PM on Sunday August 29. Details on their web site! If you miss this weekend, they will also be running on the weekend of September 10-11 and October 8-9.